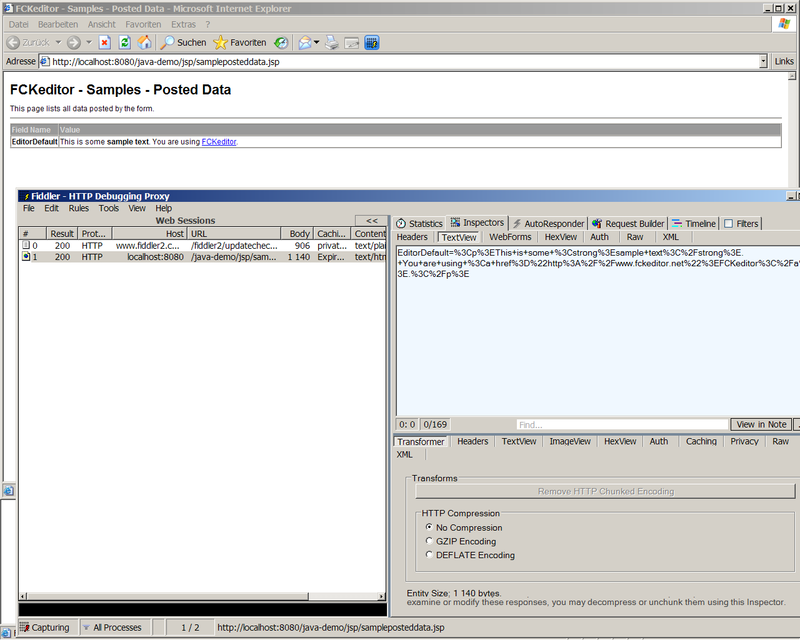 I would like to know how to force posting of unencoded html to the server when using the FCK taglib in a jsp page. It works ok except that the posted value received on the server side is entities encoded. So if using ProcessHTMLEntities="false" is not the right way to do, what is the right way ? Should I decode the value on server side ? How? ProcessHTMLEntities is not what you are looking for at all. What are you trying to achieve? If you read in the post with request.getParameter("EditorDefault") entities are decoded automatically. Which allows me to restore the html code. 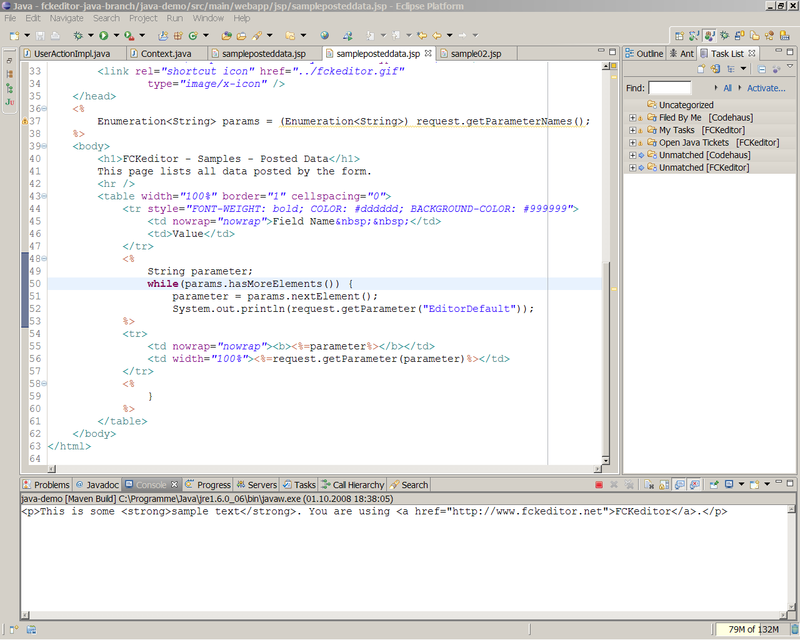 What I'm now wondering is why the html code is "encoded" when using a request.getParameter( "EditorDefault"); ? Is it the getParameter() method which "encodes" the html code or is it the client which encoded it to send the http request ? Is there a particular reason ? No no, please re-read my post. getParameter decodes the parameter correctly. Any field value is automatically escaped due to form's enctype. This behavior is absolutely correct. You don't need the EscapeUtils. This is just overhead. on server side (receiving the post from the form as declared in my previous message), what I get contains encoded entities. How to bypass this behaviour? And why is it so ? which seems to be exactly what I'm looking for. I tried it. But it doesn't help. Doesn't work here either. File this as a bug if you want. FCKeditor does nothing. All encoding is done by the browser. But again you have to search the error in your system because encoding and decoding work transparently.